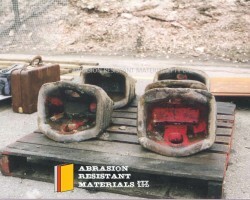 Whether the ARM Hardfaced adaptors (Patented) are fitted to a Shovel / Excavator or Dragline – they can normally reach 5-6 Million BCM without the need for ANY field maintenance. 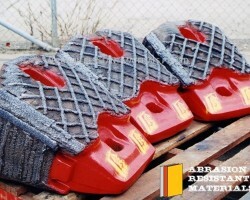 They are a proven performer in Iron Ore – reaching 18 x months of service life – without needing any field maintenance. 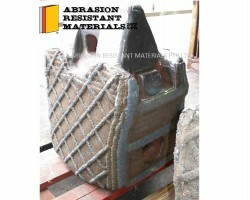 The ARM Hardfaced adaptor can be rebuilt 2-3 times – no problem. The quick tip noses are good for 50 x quick tips – and will still stay on. 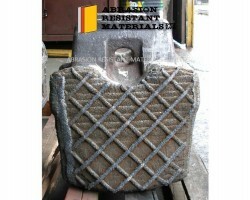 This dragline adapter (which was not hardfaced by ARM) has worked 1.8 million BCM and has worn th.. Worn 130 series adapter ready for an ARM midlife rebuild ..
130 series adapter after ARM rebuild - at a price of 20% of new replacement cost. ..
See wear behind the pin hole on the CQMS hardfaced ESCO adaptor after only 30 days .. 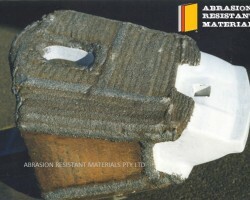 ARM hardfaced adapter in use at BHP Billiton Iron Ore for 9 months - back in the ARM factory for .. 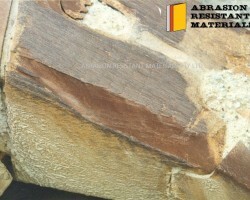 ARM hardfaced adapter in use at BHP Billiton Iron Ore for 9 months - top wear .. 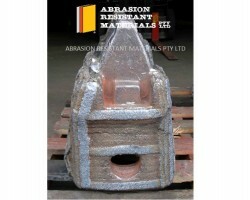 ARM hardfaced adapter in use at BHP Billiton Iron Ore for 9 months - corner view .. 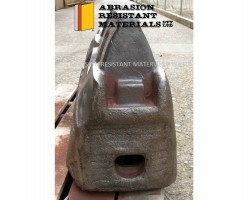 ARM hardfaced adapter in use at BHP Billiton Iron Ore for 9 months - side view .. 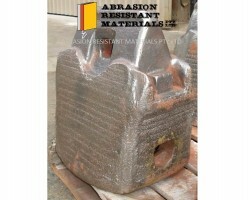 Rebuilt ARM hardfaced adapter for use at BHP Billiton Iron Ore - bottom view .. 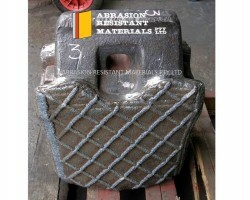 Rebuilt ARM hardfaced adapter for use at BHP Billiton Iron Ore - top view .. 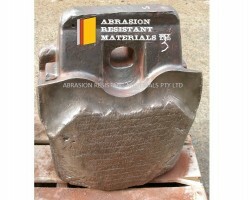 Rebuilt ARM hardfaced adapter for use at BHP Billiton Iron Ore - side view .. 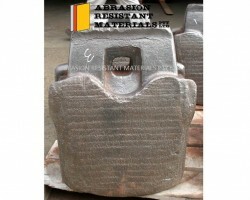 Rebuilt ARM hardfaced adapter for use at BHP Billiton Iron Ore - corner view .. 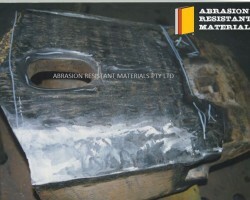 ARM repair to hardfaced 130 series adaptor ..